The Tecnam P92 Echo and Tecnam P92 Eaglet are Italian high-winged, light aircraft, designed and built by Tecnam. The P92 is popular with flight training schools, but is also operated by private individuals, companies, and the Cambodian Air Force. The P92 can hold one passenger and one pilot and has a wingspan of 8.70 m (28ft 6 in). 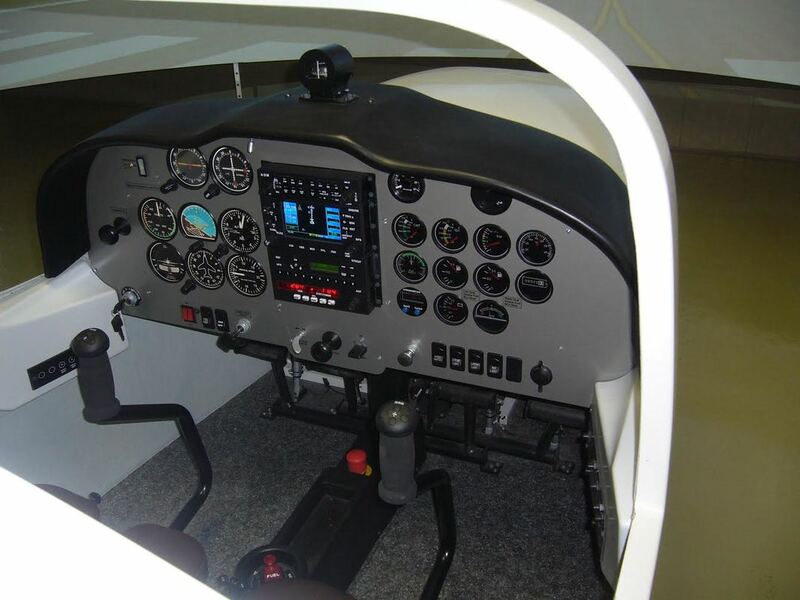 The Tecnam P92 Volarent Simulator is a high quality simulator designed to be an exact replica of the actual aircraft. In order to achieve the best actual cockpit ambience, the simulator was built with very high quality parts. The simulator has a semi-curved screen and a three way HD projection system. When an order is placed, the final price includes both manufacturing, delivery, installation on site, customer staff training, and assistance with a certified two year warranty. This simulator is designed to be the ultimate training device for flight schools, individuals, and airlines. The system is also designed for instructors to have the ability to customize scenarios to expedite and improve the training experience for pilots.